Hello hello, hello everyone! Civilla Morgan here! Merry Christmas! And welcome back to another episode of Childless, not by Choice, where my mission is to recognize and speak to the broken hearts of childless not by choice women, and men, around the world. I am spreading the great news that we can live a joyful, relevant, and fulfilled life, although we could not, did not, have the children we so wanted. Thank you Ateqers, hope I am pronouncing your name/handle correctly, for your comment and for your five-star review. It is greatly appreciated! Many of you listen to this podcast on different platforms. Google Play Radio, Stitcher Radio, Apple Podcast, my website, just to name a few. But I am happy to announce that you may now listen on Spotify! How exciting right? Well, I am so excited about today’s episode. I LOVE Christmas and to be able to post the final episode of the year on Christmas Day has me as excited as a kid in a candy store, literally! Gaby–In one week, it will be the 4th anniversary of my 3rd miscarriage. Unfortunately, all my miscarriages have been during the holidays (Thanksgiving or Christmas). This time of year is always difficult – I’m sure for us all. I’m trying to focus on charity work for children in need. I also joined a mentor program for young girls who have few to no resources around them. 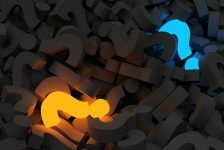 While helping others may not replace having your own children, channeling the mourning and at times regret into something positive is hugely helpful. No specific reason to post other than to share with you all, my sisters on this challenging path. Thank you for being here. I wanted to add that because I believed that would resonate with a lot of you. Aren’t those wonderful testimonials to the growth that can happen when we choose to push through our pain? These ladies are just awesome for choosing to share their growth and their pain, knowing that in doing so, you can be helped. If you are childless not by choice and you would like to join a group that cries, encourages, commiserates, and grows through pain; Childless not by Choice with Civilla Morgan is the place to be. 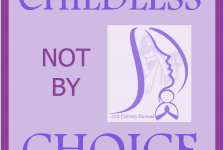 There is also the Childless not by Choice Supporters with Civilla Morgan Facebook group. So, come on in and join the conversation. There is a place for everyone! Well, what a year this has been! I have witnessed the growth of the platform, engagement from the women in the group, wonderful words of thanks and encouragement for how this platform has helped them push through to a better place. I have a second Patreon contributor now. My heart is forever touched by the thoughtful gifts of beautiful 2018 calendars and chocolate covered Macadamia nuts from Janice. And the financial contribution for microphones from Susan! How cool was that?! Thank you, Janice and Susan! I am loving this sense of community that has been created. And I know it will only continue into 2018 and the years ahead. We are getting the word out that there is an entire demographic of women, and men, around the world, who exist and in some cases, hide in plain sight! Awareness is being created, and conversations are being had. Hearts are being healed, and relationships are being built or re-built! Those stories of healing and strengthened relationships are gifts to me, just as tangible as the ones I mentioned earlier. I can’t wait to see how 2018 will witness more help and healing! I hope you will join us, and join the conversation! 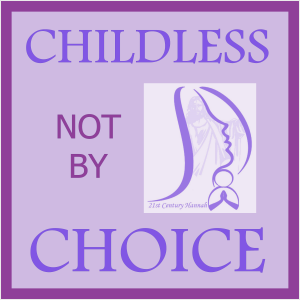 Thank you for listening to this episode of Childless not by Choice. It is appreciated!